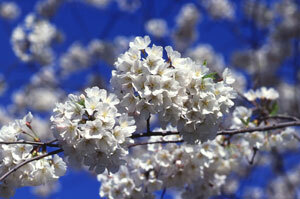 The Spring Equinox usually in Japan falls on March 20th or 21st celebrating the beginning of Spring. This marks the end of winter and the beginning of spring in which people are able to enjoy the outdoors more with the plants and nature coming back to life once again. Many people will use this day to remember their past members of their family and will go to grave sites and hold family gatherings. Vernal and Autumn equinoxes have traditionally been Shinto holidays to pay respect to the imperial family.